Let's clear a misconception: remote access is not just for large corporations. Many small and medium enterprises (SMEs) are finding that being able to access their office resources remotely provides significant benefits to the company and their employees. Looking for products supporting flexible working policies means avoiding being left behind in this new era of hyper-mobility, as data collected by the UK’s Office for National Statistics suggest that half of the country’s workforce is expected to work remotely by 2020. One of the most important benefits of using remote access is the flexibility that it can bring to your business. SMEs with a relatively small number of staff compared to a large corporation need to be as agile as possible in order to compete in the marketplace. Large companies can afford expensive IT infrastructure to support remote access for their staff, for example in the form of dedicated Virtual Private Networks (VPNs). 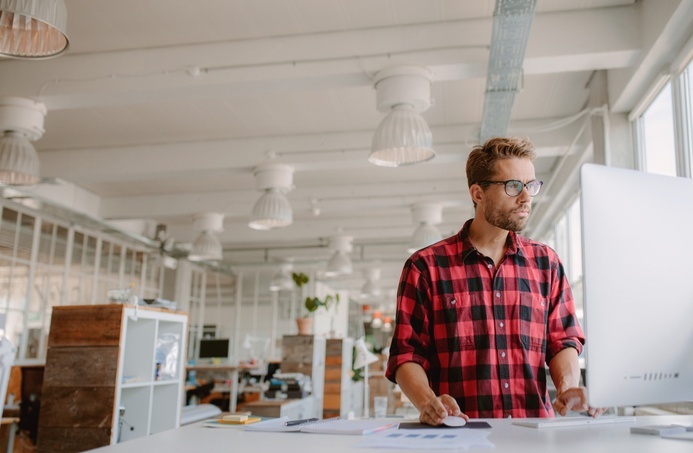 SMEs do not have the luxury of being able to spend equivalent sums of money, but still want to reap the benefits that remote access can provide. A remote access solution based on Virtual Network Computing (VNC) technology offers the ideal affordable solution for your organization (and fun fact: we actually invented it!). With the ability to securely access resources from outside the workplace, a whole world of commercial possibilities becomes available to you. For example, your employees can travel for business without affecting their daily working routine. With remote access and internet connectivity, the firm's resources become available to them as if they were actually sitting at their office desk, so they can work securely from anywhere, whether it's an airport lounge or their favorite coffee shop. You can also offer your employees the opportunity to work remotely from home. We all know how time-consuming and tiring the daily commute can be: by working from home and starting work refreshed, employees are demonstrably more motivated and productive. It can also contribute to the creation of a healthy work/life balance in a company, with a positive effect on staff morale. Either way, with a good BYOD (Bring Your Own Device) policy in place, employees can also use their own devices to access centrally-controlled IT resources. By doing so, your company can avoid paying for and supporting multiple software licenses for different devices. Implementing a flexible working policy allows you to recruit the most talented staff from the widest possible geographical area. You’re no longer restricted to the local pool of potential staff but are free to choose from the very best candidates, regardless of where they are based. This can offer even the smallest company a potential advantage over rivals without remote access. In the past, valued employees who decided to move from the local area were often lost to a company because commuting long distances was impractical for them. With a remote access solution, you can offer staff who move the option to stay with the company and work remotely from home. This offers huge benefits in terms of talent retention and company knowledge management - did you know that training a former employee's replacement will cost you around 20% of their annual salary? One of the largest costs for small companies is renting office space. With employees working regularly from home, you can reduce these, often budget-breaking, costs. If fewer workers are in an office at any one time it becomes possible to rent smaller (and cheaper) premises. With remote access software, renting a coworking space also becomes a viable option. This solution can solve major business problems, especially if you are in the process of scaling your business and are not ready to relocate to larger business premises just yet, as we explained in another blog post we published recently. Other potential cost savings can come from using remote access to outsource some of the functions within your company to external contractors. For example, companies often find it cost-effective to outsource their IT support, using remote access to provide assistance to staff. And the support team doesn’t even have to be in the country where you’re based, allowing you to choose the cheapest solution for your needs. As well as individual employees working remotely, a good remote access solution can offer other benefits. For example, you can communicate and work collaboratively on projects, either internally with colleagues, or externally with suppliers or other third parties. By interacting remotely with internal and external customers (for example by providing remote customer support), both parties can save travel and other business expenses and enhance their productivity. For SMEs on a limited budget, another plus is the ability to share resources on a single computer. For example, you might have important software on just one machine, but because users are licensed for the software through expensive individual licences and several of your staff may need access to it simultaneously, buying multiple licences might be just too expensive. Many remote access solutions allow you to create virtual desktops on that computer so that multiple remote users can share the resources on it. Only once license is needed for the software, but multiple employees can make use of the program. Did you know that you can deliver training to staff working off-site through remote access? With screen sharing tools, departmental experts or technical instructors can hold training sessions any time coaching is required. This approach allows employees to receive the support they need to get up to speed and maximize their productivity, saving employees’ time, reducing user errors, and cutting the costs associated with traveling to traditional training sessions. For SMEs, choosing the right remote access solution is obviously of great importance. You need to find a product that fits your budget, but also offers you the functionality that you need without having to pay for features that are not of interest. Also, when choosing a remote access product, you need to think about security. Every company, whatever their size, has to make this a priority, so it is important that you consider the solution that matches your needs. For more information about choosing the remote access solution that’s right for you, this article offers some suggestions.